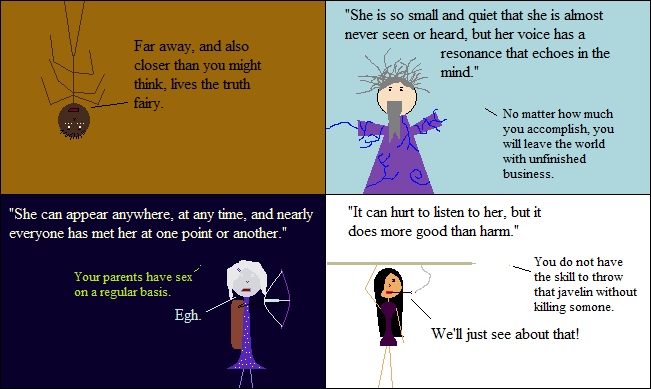 Inspired By True Events - The Truth Fairy is a hard person for other fairies to make friends with. The Truth Fairy is a hard person for other fairies to make friends with. Playing with the idea of a recurring Anansi comic where he talks about magical junk, imaginary readers. We will either never see the truth fairy again, or she’ll be a main character in a month. That’s only mostly a joke.